Don't change a thing, baby girl. | The House of Martins The House of Martins: Don't change a thing, baby girl. Don't change a thing, baby girl. Well, like I mentioned, I am trying to participate in NaBloPoMo for November and post once a day. Blogher provides some prompts for participants to help get the creative juices flowing. Today's prompt is a bit of a disappointment for me. "If you could change one thing about yourself, what would it be?" As a new mom to a little girl, I really don't like this question. I mean, isn't part of being special also being different? And accepting and loving yourself? Man, at 32 years old I feel like I can honestly answer that question: nothing. But to still be asking it - is a problem. Anyways, enough about that. The thing I really wanted to share is a great book that highlights just how good it is to be you. If you've got a daughter - I highly recommend this book: Stand Tall, Molly Lou Melon. It tells a great story of how a little girl takes her grandmother's advice and turns her "faults" into talents. I already read it to Lucille, even if all she wants to do is eat the book. 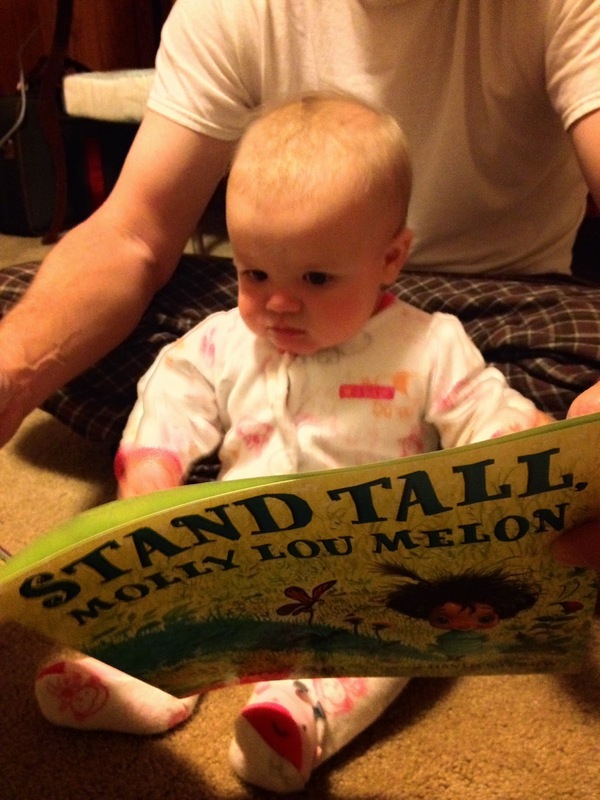 The author has another book with the same character: Have Fun, Molly Lou Melon and its just as good. I know there are other great kids books out there that emphasize "being yourself." Any other recommendations from readers?